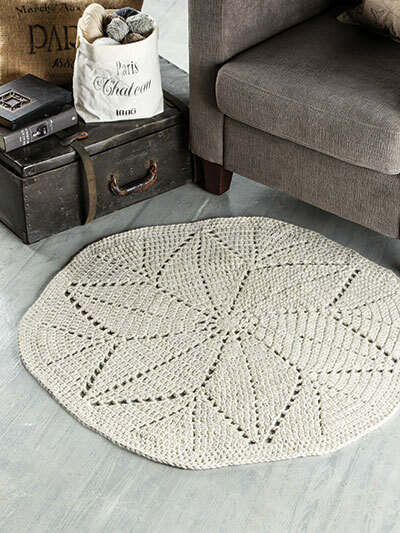 Stitched with two strands of a cozy, chunky-weight yarn held together, this rug will create a dramatic statement no matter where it is displayed. 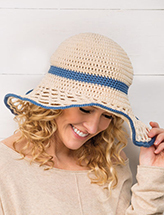 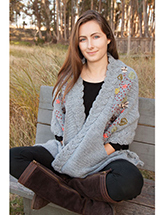 Design is made using 8 balls of bulky-weight yarn and a size L/11/8mm crochet hook. 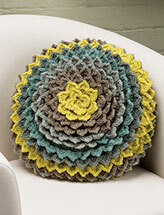 Finished size: 38" in diameter. 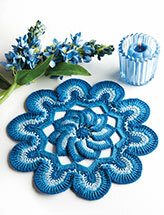 Previously published in Crochet Home, April 2019.